In this offbeat mixture of espionage and slapstick comedy, Arthur Vincenti (Alejandro Rey) is a scientist working on secret military projects for the United States government. Vincenti is becoming increasingly unstable as he works in solitude in a backwater swamp; his superiors fear that he might be going mad, so they arrange for a respected psychiatrist from New York, Dr. Bartholomew Snow (Rock Hudson), to meet with him on a regular basis. However, in order to keep Vincenti's whereabouts a secret, Snow is blindfolded before he's driven to his meetings with the scientist. When a group of enemy agents kidnaps Vincenti, Snow could be the only one who can help him; however, he can't track down his patient without wearing the blindfold. 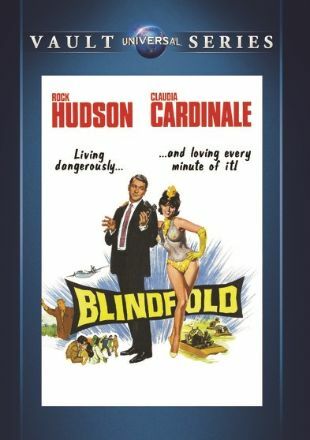 Prominent in the supporting cast are Claudia Cardinale, Jack Warden, and Guy Stockwell.